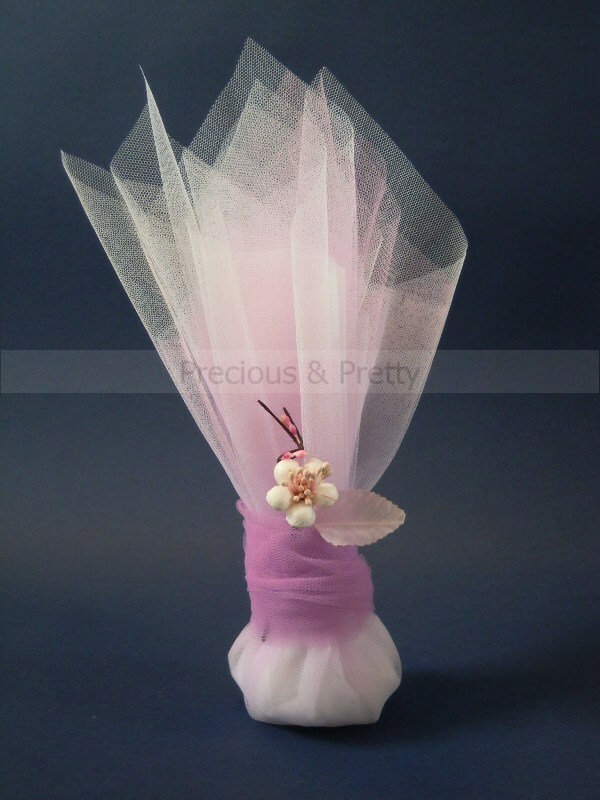 Greek wedding favors handmade with one lilac and two white tulles, decorated with an elegant paper almond blossom and tied with lilac tulle. 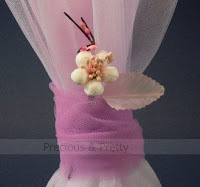 They are also available in other colors and contain tulle with 7 sugar coated almonds. https://www.preciousandpretty.com/2012/02/handmade-wedding-favors-lilac-almond.html Greek Wedding Favors|Orthodox Crowns|Stefana|Baptism Invitations Handmade Greek wedding favors with almond blossom G111 Handmade Greek wedding favors with almond blossom G111 by Greek Wedding Favors|Orthodox Crowns|Stefana|Baptism Invitations Product #: Greek Wedding Favors|Orthodox Crowns|Stefana|Baptism Invitations_2504739307524500445 5 stars out of 5 reviews.